The ideal upgrade for every day, city cyclers. 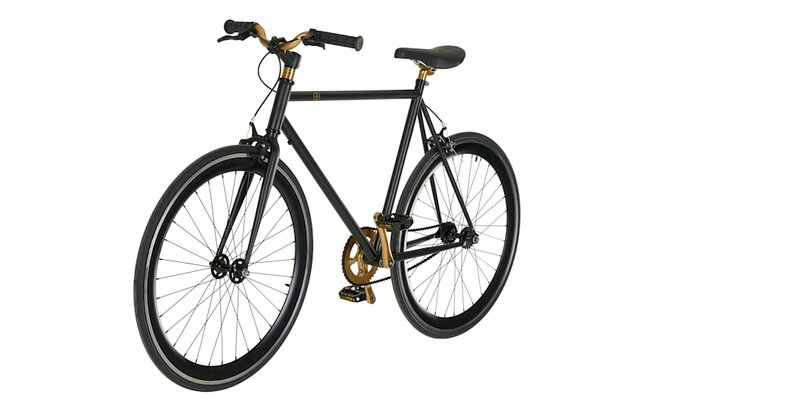 Our Colwyn bikes come in matt black with copper or gold – design-led finishes, so you can commute in style. This sophisticated bike is easily fitted with baskets, bells and accessories. Check out our range of helmets in coordinating matt black, copper and brass to keep you safe en route. Keep it simple with one gear. A single-speed bike is perfect for commuting and easy to maintain. Ideal for zipping through the city, the Colwyn bike is made from lightweight aluminium so it’s a sure and steady ride.